As a keen sewer I have a great nostalgia for anything haberdashery. I loved the smell of certain shops when I was a kid, the newsagents with it's scent of printers ink and the promise of comics and black jacks sweets was one. 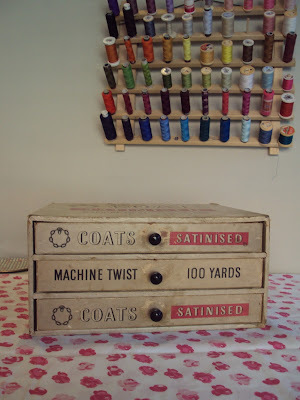 But I was fortunate enough to have a mum who sewed and so we would often go searching for fabrics and supplies in proper haberdashery shops, full of bright colours and knitting needles and yarn in soft bundles. 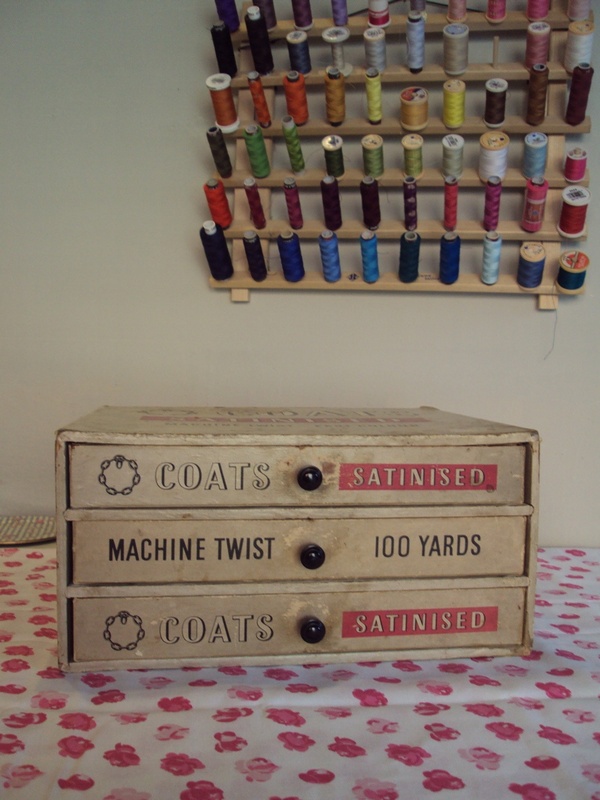 I saw this little set of drawers the other day in a lovely vintage shop in town and had to have it. 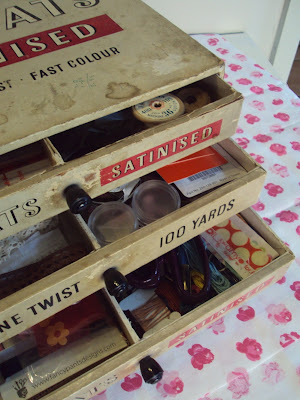 It is a bit battered and is showing it's age, but I love it and it is perfect for all my little sewing bits and bobs. Our house is a very very very fine house..